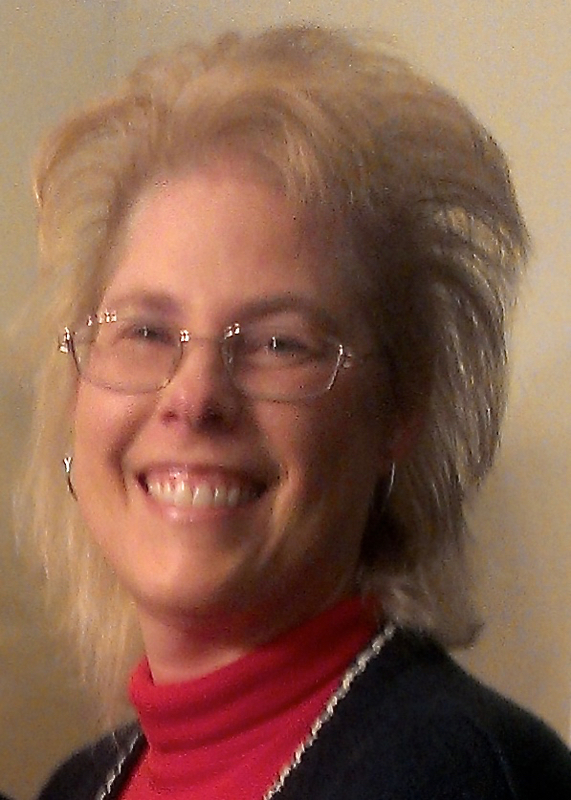 This is my 100th post, and what better way to celebrate than an interview with Belinda G. Buchanan, a fellow author with whom I have been “Facebook friends,” ever since March of 2012 (I had to look that up!). However, for the life of me, I couldn’t remember the circumstances under which we first met. So I thought I’d begin our interview by finding out. Joe: Belinda, did our meeting have anything to do with your living in Kentucky, and the fact that I went to college in Kentucky? Belinda: Well, not exactly. You and I are members of a small authors support group on Facebook, and one day you posted a most important question that all authors need to know the answer to: “Has anyone in this group recently bought a vacuum cleaner? I’m in the market for a good one.” I messaged you back a few days later, asking if you’d found your answer, and that’s when we became friends—although it did help that you went to EKU. Joe: Ah, yes, I do remember that now. For the record, I ignored all the recommendations offered by Belinda and others, and bought a Sears model, instead (which I hate!) But enough about me. I recently read one of your books, The Monster of Silver Creek, and enjoyed it immensely. Was that your first book? And before you answer that, I have a follow up question: Was there any particular reason that it was set in Montana? Belinda: “Monster” was my second book published, and I specifically chose the setting of Montana because of the film, The Hunt for Red October. In it, Sam Neill’s character wants to go to Montana in an RV when he defects, but is killed before he can. With his dying breath, he says, very eloquently, “I would’ve liked to have seen Montana.” It was inspiring, because for me, Montana represents the last frontier. Look in any direction and you will see indescribable beauty in both its landscape and horizon. And as a side note, even though Silver Creek is a fictional town in Montana, I did place it in the real county of Prairie, and all of the surrounding cities and highways that are mentioned in the book do exist. Joe: What a coincidence. Montana happens to be the setting for the latest Matt Davis mystery that I’m writing, and it’s the one place on Earth that I’ve always wanted to visit. To a fly fisherman, it represents the ultimate destination—aside from the Catskills, of course. Unfortunately, since I turned 70 this year, I think my window of opportunity is closing rapidly. Belinda: That is a coincidence. Sorry about your window. Joe: Hey, that’s life. But let’s get back to you. You describe your writing (and I’m quoting from your Amazon author page) as follows: “My stories are filled with angst, intimacy, despair, and hope. If you like these things, and don’t mind a few racy scenes, or a sprinkling of profanity here and there, then my books are for you.” On the face of it, that would appear to be a pretty bold statement. It’s generally said that we should “write what [sic] we know.” Is there a particular reason that you write about such emotional issues as angst, despair, and intimacy? Belinda: I create stories that deal with very personal social issues: alcoholism, mental illness, adultery, domestic abuse, as well as some other taboo subjects. My women are not weak, and my men are not always strong. With that being said, you will find that my characters are not perfect—they are far from it, actually, because even heroes have a chink or two in their armor. It’s what makes them human . . . and I find that fascinating. I affectionately like to call my books, “Where tall, dark, and handsome meets high drama.” To answer your question though, the underlying theme in all of my books is grief. This is an emotion that most everyone at some point in their life has had to deal with, including me. I still have trouble some days coping, but I do find writing to be therapeutic, and I hope that those reading my books will find that is true for themselves as well. Joe: That’s very interesting and, at least, based upon what I read in The Monster of Silver Creek, it’s something you’re very good at. In reading your work, I notice that your characters are all very well defined and believable. Most of them seem to face the same, universal problems we all contend with on a daily basis. Without giving too much away, can you tell us a little about your protagonist, Nathan Sommers, and what particular “issue” he faces in the book? Belinda: Nathan Sommers is a man trying to cope with the loss of his wife and unborn child. I don’t want to reveal too much of the plot, but I will say that Nathan feels their deaths were a direct result of his actions, and he is plagued by guilt because of that. This connection to his past is what drives the story. It’s what makes Nathan who he is, as well as who he becomes. Joe: I would definitely agree with that assessment. When did you first become interested in writing—particularly novels—and do you have a “day job,” or is writing your full-time occupation? Belinda: I used to work in exporting. As a manager, it was my job to get my company’s product into a forty-foot container and ship it to customers around the world. I loved my work, but when mudslides in California derail the train on which your container is traveling while en route to the port in Oakland; or your container is washed overboard during a storm (it happens more than you think); or your container and all of its contents get burned to a crisp courtesy of an RPG in a remote place in Africa, because of civil war—well it can be a little trying. About ten years ago, my husband and I relocated because of his job, and I decided not to seek employment again, since my youngest son was just a few months old at the time, and I wanted to stay home with him. This was the period when I discovered my love for writing again, and now it is my day job, night job, and all jobs in between. Joe: Good for you! I’m sure many aspiring writers can take comfort from hearing that you’ve been able to do that. So, how would you describe your average reader? Wait, let me put it another way. Are there particular types of people who are attracted to your work? Belinda: I think those who are drawn to my novels enjoy riding emotional rollercoasters, meaning that they are invested in them for the long haul. They travel down the same tumultuous path I have laid out for my characters, going around every hairpin curve and trudging up every steep hill with them—coming through the other side of it, weary but satisfied. A good portion of my readers are women, age thirty-plus, although there are a large number of men who read them as well. Most of my characters are in their thirties. They are mature and have careers, and I think that’s a part of what draws my readers in, as they can certainly identify with the ups and downs of trying to have it all. Joe: So, where do you get the ideas for your books? Belinda: Ideas for my stories come in different ways. They can come from a song on the radio or an interaction between two strangers on the street. My mind is always plotting. A few years ago, my husband and I, along with our two sons, went to Mammoth Cave. When we got there, we were excited to learn that a new entrance to the cave had been discovered and was now open for tours, but to get there, you had to take a bus. Okay. No problem. So after paying for our tickets, we boarded the bus and in a few minutes were underway. As we started heading down a narrow, desolate road, with a dense forest on either side, I casually shifted my attention to the driver. The man looked to me as though operating the bus was his day job and at night he went back to his prison cell. (I kid you not!) With my imagination being what it is, I began carving out a story involving a serial killer of women set in a small town. Seven weeks later, The Monster of Silver Creek was born. Joe: Well, based upon the results, we can all thank goodness for bus rides! What is your writing schedule like? Do you write every day? Do you have a particular routine you follow when you write? Belinda: When I’m working on a book, I do try to write every day. Once my kids are off to school, I come down to my office, which used to be a closet, and start. The biggest downfall/pitfall to this is that I am so obsessive about my writing (wanting the prose in it to be perfect) that I can sometimes get hung up on a chapter, or even a paragraph for days. My latest work-in-progress, Tragedy in Silver Creek, has taken nearly two years to write, but when it goes live, every breath a character takes, and every inflection in his or her voice, will be there because I want it to be. Joe: That’s the one nice thing about being a writer: you’re in total control. Let’s talk about the characters in your real life. I know you’re married, and you have children. What does your husband think of your being a writer? Is he supportive? Do you draw on him for ideas? Belinda: I have two sons, ages 16 and 10. My youngest loves me unconditionally, and the older one loves me only when we’re not in public. My husband, Bruce, is extremely supportive. He is the first to read my novels, and the only one I trust to do so when they are in their infancy stages. He is my confidante, my biggest fan, and my cheerleader all rolled into one. I have a terrible tendency to babble on about my characters as if they were a part of our family—a habit that he painfully endures without so much as an eye roll. I would never be what, or who, I am today, if not for his encouragement and belief that I could do it. Joe: Sounds an awful lot like the relationship I have with my wife. We’re both very lucky in that regard. So, where can readers purchase your books? Belinda: My books are available in print on Amazon.com. Electronic versions are also available from Amazon as well as Barnes & Noble, Kobo, Smashwords, and iTunes. 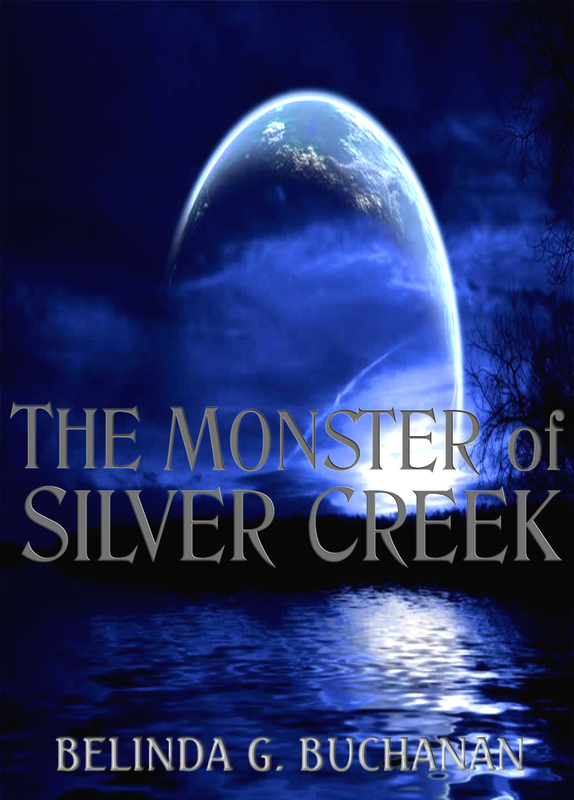 There is also an audiobook version of The Monster of Silver Creek which can be purchased through Amazon or audible.com. Joe: What are some little known facts about you that most people don’t know? Belinda: The three most important things about me are: I can be bought with a Kit Kat; I love all animals, except snakes; and I have a photographic memory—the latter being an immense help in winning disagreements with my husband. Joe: I envy that “photographic memory thing.” What else can you tell us about “the real” you? Belinda: I don’t have any writing awards, but I do have a very nice “Worldwide Employee of the Year Award” that was given to me when I worked in exporting. I have it sitting on my desk in my office next to my stash of Kit Kats. Joe: Well, well, I see we have something else in common. Belinda: Oh, you like Kit Kats, too? Joe: No . . . well . . . yes, I do love Kit Kats. But that’s not all. In the early days of my writing career, as a sportswriter, we utilized the AP stylebook. So, believe it or not, I was also taught to follow every period with two spaces. So there! I guess we’re both dinosaurs. Okay, that brings me to my final question: What’s next for Belinda G. Buchanan? Belinda: Well, I’m putting the finishing touches on the book I mentioned earlier, Tragedy at Silver Creek, which is a “sequel” to The Monster of Silver Creek. I don’t really like using the word, sequel, but for lack of any other term, that’s what it is. However, both books are stand-alone novels, meaning you don’t have to read one to comprehend the other. Next in the pipeline is a women’s fiction/romance novel tentatively titled, The Safe Choice, which I hope to begin working on very soon. Joe: Well, we’ve certainly got plenty more of your work to look forward to, and as Martha Stewart would say, “That’s a good thing.” It’s been lots of fun chatting with you today, Belinda, and thanks again for being my guest. Belinda: Thank you, Joe. It’s been a pleasure! I really enjoyed The Monster of Silver Creek by Belinda G. Buchanan. I had long been intrigued by this book’s cover, having seen it numerous times on the various author websites that I visit. So when my Kindle’s home page finally contained nothing but “Books You’ve Read,” I decided to download a copy to see if the content matched the book’s eye-catching cover. It most certainly did! The “About the Author” section at the end of the book describes Buchanan as “an author of edgy, women’s fiction and mystery romance.” The description is an apt one, and perfectly describes her work. If you’re looking for a “cozy mystery,” however, you may be disappointed. There’s nothing warm and fuzzy about this book. It does contains some romance, but it is definitely not a romance novel. Police chief Nathan Sommers’ memories of his troubled marriage to late wife, Jenny, are skillfully interwoven with the story of the ongoing search for an elusive serial killer. There’s also the slow, almost painful evolution of a relationship between Nathan and newcomer Katie Winstead, who has just opened a bakery. Buchanan paints strong, descriptive word pictures that leave just enough to the imagination to allow for some creative speculation on the part of the reader. Her characters are well-drawn, pithy, and engaging. You either hate them or love them, depending upon your point of view. The story moves steadily along, gradually building momentum, right up until the final chapter, with its shocking—and completely unexpected—conclusion. The Monster of Silver Creek is definitely a page turner—and I have the bags under my eyes to prove it. You may not be familiar with the name Belinda G. Buchanan, but once you have read The Monster of Silver Creek, I promise you won’t soon forget it. I look forward to reading more from this talented author. This entry was posted in Author Interviews and tagged Belinda G. Buchanan, memorable characters, mystery novels, women's fiction. Bookmark the permalink. Thank you, Joe, for having me as your guest today. It has been loads of fun! I have read many interviews but this one has a unique texture to it mainly because it is so well-worded and organised, it seems more of a conversation than the disconnected answers that are written and dispatched. I think it is because of your questions, which are so different that it seems to be conversational and there is a personal touch also. You seem to have read the books of Belinda. Your questions reflect that very clearly and your review is as engaging as you have described the book to be. I have added it to my long list of ‘books to read’, however the cover and the video is quite scary! Thanks for sharing a fantastic review and introducing me to Belinda. Congratulations on your milestone post Joe. I hope there’s plenty more to come. Thanks, David, and yes, more to come! I really enjoyed this blog. Belinda’s personality jumps off the page, and I assume that will be the case with her books. She’s got a new fan. I enjoyed your conversation with Belinda and your story about it. I, too, leave two spaces after a period…you do as you’re taught, I guess, and it’s a hard habit to break. Keep up the great blogs!